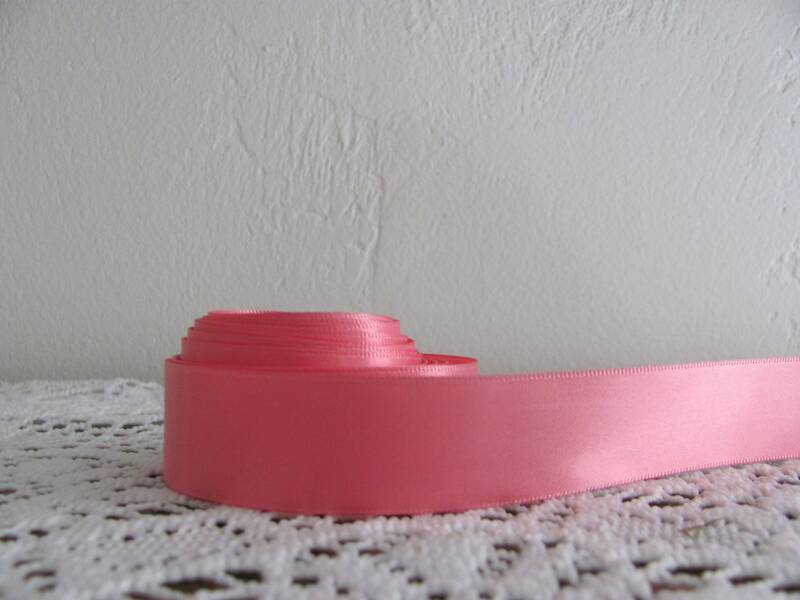 Coral rose double faced satin ribbon. Sold per yard. 7/8 of an inch wide.